From the first moment the ice hits the cocktail shaker, your guests will be entertained (and impressed)! Our mobile cocktail service is the perfect addition to any event bar service especially mobile bars for weddings, private events, and functions. Our passionate and professional cocktail waiters and mixologists will provide that extra layer of sophistication to your celebration. The art of creating cocktails and bartending has continued to evolve through the ages, to the modern era where cocktails are now layered with history and flavours, and considered a beautiful way to drink and entertain guests. This memorable experience can be added to our mobile bar hire service for all functions through our Pop Up Bar, Bar Cart or Caravan Bar packages. Or you can hire a cocktail bartender as a standalone service for a private event or party. Our mobile bartending service will come to you, and includes all cocktail and bar equipment, expert cocktail mixologist hire and of course a personalised menu created by our cocktail bar staff to showcase and highlight ingredients you love. Check out our ‘Ultimate Guide To Event Cocktails’ on our blog. 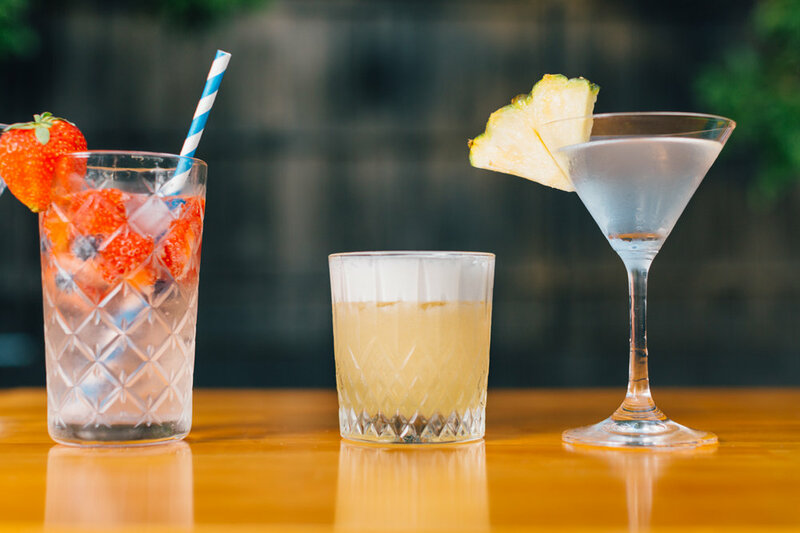 Contact us today to hire a cocktail bartender service in Brisbane, Gold Coast, Sunshine Coast, Noosa, Byron Bay, Ipswich and Toowoomba. Our Cocktail Cart will have your guests sipping and cheering! With our packages starting from as little as 1 hour, this special little bar is the perfect addition to any event. provide the alcohol, and our team will take care of the rest. The art of creating cocktails is a ritual, and there is a certain magic involved within this moment. The mesmerising sound of ice in the shaker is the perfect soundtrack for all celebrations, and is guaranteed fun. Our mobile cocktail catering service and bartenders will allow your guests to enjoy visually stunning and delicious cocktails. Learn the beautiful art of mixology in a fun and interactive environment, where you will learn to shake, muddle and blend like a professional. Perfect for gatherings, hen’s parties, team building and corporate events. This unique experience will teach you how to create classic cocktails, as well as new creations, using fresh seasonal ingredients. Each workshop and menu is created to suit our customers and their guests, with packages inclusive of all equipment, glassware and a mixologist to guide the group.